Drenched in sunlight and splendid sun showers almost every day, the South Florida subtropical climate is perfect for cheerful exotic plants. 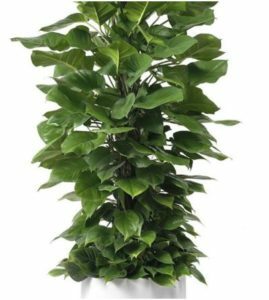 The tall gorgeous Jade Pothos Totem reminds one of an oasis with its tall structure of viridescent leaves. This plant will thrive in bright indirect sunlight making it one of the easiest plants to grow indoors. Escape to the Amazon rainforest in this Jade Pothos Totem and touch it’s silky leaves that reach a height of 16-18” long and 10-12” wide. 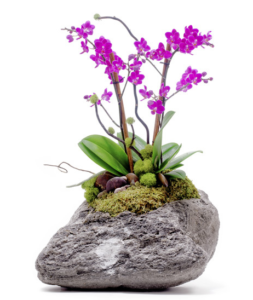 Add some color to your home with this beautiful orchid arrangement set on a feather rock lightweight enough to move around your personal space with ease. 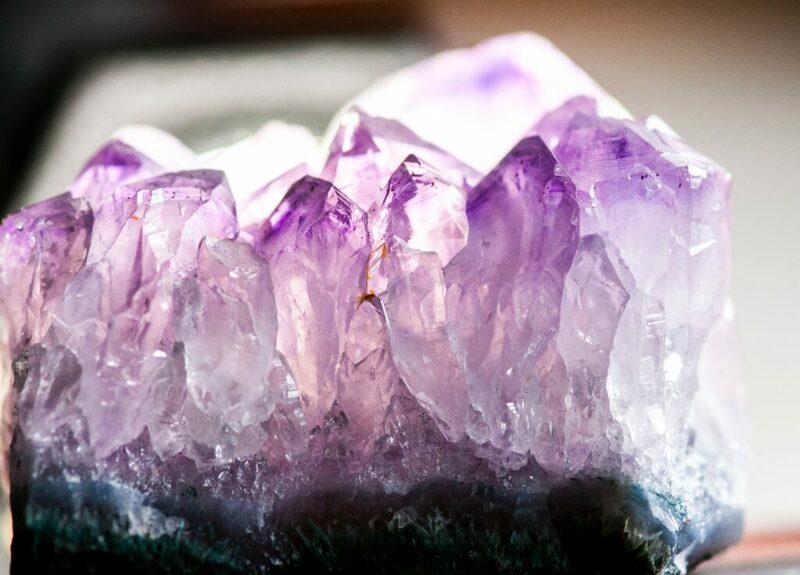 This piece only needs to be watered once a week with a spray bottle. For fuller blooms, cut the stem right below the last flower so new flower buds can bloom. Bring in new flowers by attaching the orchid to a tree with string and making sure it receives only indirect sunlight. If you watch closely you might see butterflies fluttering nearby. Subtropical environments induce a sense of exuberant energy with its array of exotic indoor plants such as the ponytail palms with their circular far-reaching leaves. 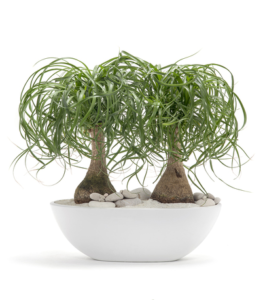 These double ponytail palms almost scream excitement with their luscious care-free grassy leaves that can either be cut periodically or can be left to grow freely. Brighten your room while also seeing these mini trees flourish into a beautiful round bush a top your kitchen counter or office desk. 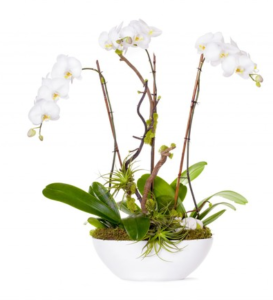 Welcome beauty and positivity to your personal space with this Phalaenopsis Orchid arrangement. A subtropical climate would be the ideal space for such a stunning piece due to the delicacy of the orchids and the aura of tranquility incited by this arrangement. Subtropical environments cater to many types of organisms, attach this orchid to a tree when it is done blooming and watch the array of birds or butterflies flutter around such a delicate plant. 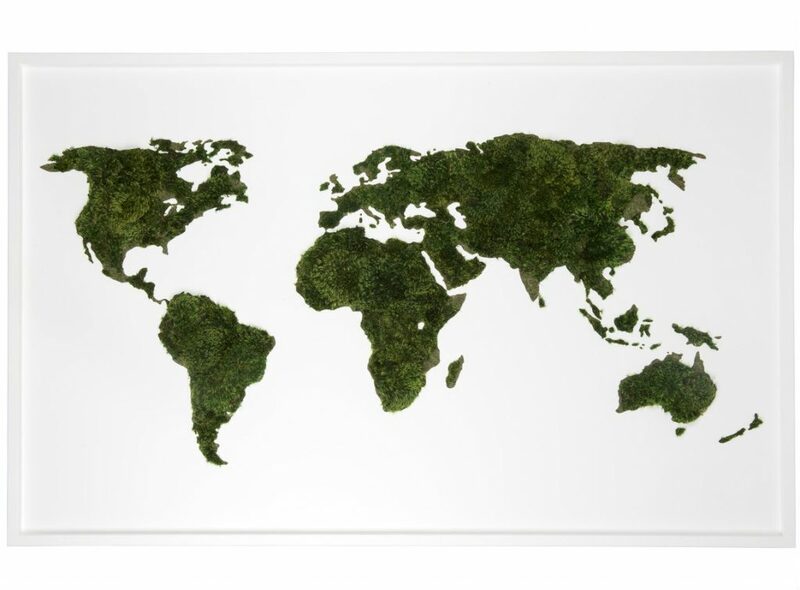 Plant the Future is a South Florida based-company that helps people bring a natural touch to their spaces. 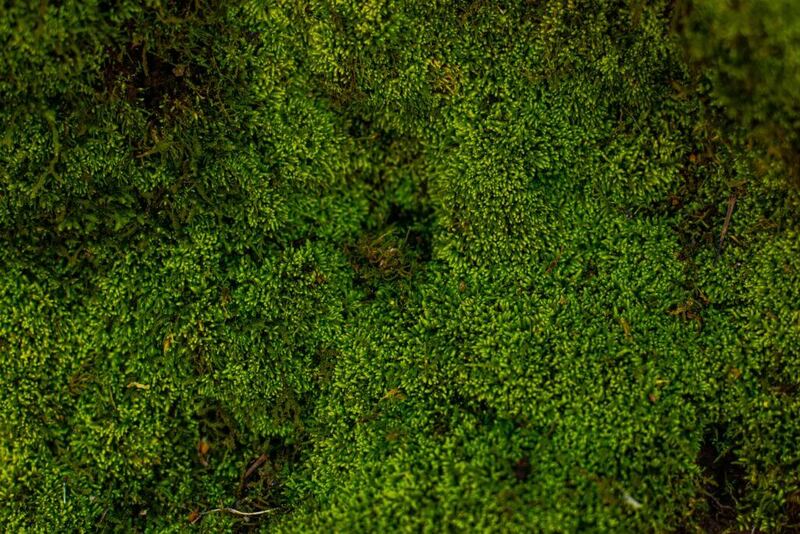 Our team of experts on exotic plants and interior design are happy to tend to our customers at either of our two locations. If you need help finding the perfect plant for a subtropical climate or simply need some guidance, phone our HQ at 395-222-7500 or our Wynwood Gallery at 305-571-7177 or contact us via our website.